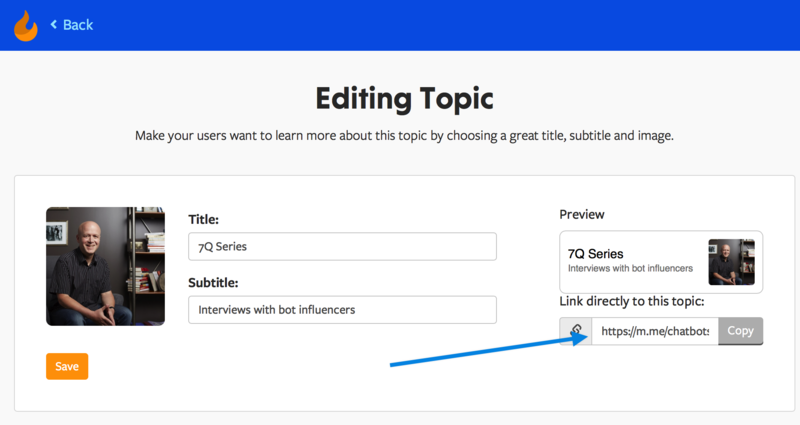 To share a Topic, click on "Convos" in the left nav of the Octane AI dashboard. Scroll down the page to find "Your Topics." 2. Click on the Topic of your choice and you will find the direct link to share this topic with your audience. 3. This link is shareable on any platform, and your convo's metadata automatically pre-populates the post.